What is the most important work and activity of the Holy Spirit in the life of the believer? Put another way – what is the nature, what is the essential character of the Holy Spirit as he works in our lives? You might think of the Holy Spirit Who is the Lord, the Giver of life, the breath of God in creation, Who brings new birth (John 3) and a new creation (2 Corinthians 5:17). You might think of the Holy Spirit the Counsellor, the Helper, who helps us to know Jesus better, to be more like Jesus and to tell others about Jesus. You might be surprised when I tell you that throughout the Bible the most frequently mentioned and the most important activity of the Holy Spirit is NONE of these. I want to help us understand the Person and Work of the Holy Spirit from a new perspective! Biblically the most widely referred to and most important activity of Holy Spirit is actually this – inspiring prophetic gifts and messages. The essential character of the Holy Spirit promised in the Old Testament and experienced in the church in the New Testament is the communicating Spirit, the Spirit who inspires prophecy. Let me explain where I am coming from. Prophecy has been part of the life of all the churches I have belonged to and led. My theology and experience is evangelical and charismatic rather than classic Pentecostal. 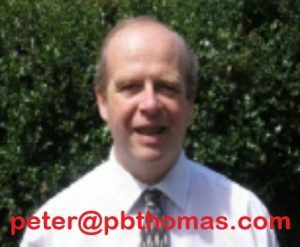 “The Holy Spirit and Spiritual Gifts” was the special topic in my Master’s Degree in Biblical Interpretation from London Bible College under the international expert Professor Max Turner. If you already have experience of prophecy then I don’t want to change your understanding. What I would like is for every Christian to have a real expectation that God wants to speak to you personally – because that is what prophecy is all about! In the Old Testament we find the words prophet, prophecy and prophesying a staggering 384 times! The ways in which prophets received God’s message varied. So did their subject matter and the ways that they delivered God’s messages. But the prophet was always essentially God’s spokesman in the world. The authenticity and authority of all prophecies rested upon their divine origin: “thus says the LORD”. God spoke to the prophet and the prophet then spoke to the people. And it was the Spirit of God who inspired the prophets so that they received direct revelations from God. This was the dominant activity of God’s Spirit in the Old Testament. It was the “Spirit Who inspires Prophecy” who was the agent of direct communication between God and his prophets, inspiring them with dreams and visions and messages. Before the birth of the Church at Pentecost the Holy Spirit only came upon special individuals for specific purposes or occasions. But even Moses said, “Would that all the Lord’s people were prophets, that the Lord would put his Spirit upon them!” (Numbers 11:29). In Joel chapter 2, God promised that in the Latter Days the Spirit will come and rest upon all God’s people, communicating prophecies, dreams and visions. “I will pour out my Spirit on all people. Your sons and daughters will prophesy, your old men will dream dreams, your young men will see visions.” (Joel 2:28). This is the wonderful promise fulfilled at Pentecost as the apostle Peter explained in Acts 2 in the first sermon of the Early Church. 17“ ‘In the last days, God says, I will pour out my Spirit on all people. Your sons and daughters will prophesy, your young men will see visions, your old men will dream dreams. 18Even on my servants, both men and women, I will pour out my Spirit in those days, and they will prophesy. And who is this promise for? Who will receive this gift of the Holy Spirit? Who will see visions and dream dreams and prophesy? So the Holy Spirit who inspires prophecy is not just for special Christians, but for every Christian! According to Peter’s sermon, the Holy Spirit poured out on every Christian is the fulfilment of Joel’s promises of the Spirit who inspires prophecy. It is THIS Spirit who is poured out on ALL who repent and believe. Peter repeats Joel’s words for emphasis, “and they will prophesy”. This underlines that the Holy Spirit who had inspired the prophets had now come down and filled the church, the Holy Spirit who was always “the channel of communication between God and man”. So now ALL believers will be able to see visions and dream dreams, ALL believers will be able to prophesy. We find this promise fulfilled throughout Acts. Time after time the church receives prophecies, specific revelations from God, giving guidance, assurance, solutions to problems and predictions about personal and national events. See e.g. Acts 13:2ff (at Antioch) 15:28ff (Guiding the council) 20:23 (warning Paul) 21:11 (Agabus) and 11:28 (predicting famine). Throughout Acts the Holy Spirit is more than anything else the Spirit who inspires prophecy. If you stop and think about it, so many of the activities of the Holy Spirit are actually the works of the communicating Spirit. Jesus called the Holy Spirit the Paraclete, “another Counsellor” or “another Helper” (John 14:16), who continues Jesus’s work of revealing God and bearing witness to Jesus. In John’s gospel the Paraclete is the Holy Spirit in a special role, as the personal presence of Jesus in the Christian while Jesus is with the Father. The Helper’s activities include teaching (14:26), testifying (15:26) and guiding into truth (16:13). He will “speak what He hears … tell you what is yet to come … take from what is mine and make it known to you” (16:13ff). All these are activities of the Spirit who inspires prophecy bringing believers into direct communication with their heavenly Father. The Spirit brings eternal life, and what is eternal life but a personal relationship with God, mediated by the Spirit? “This is eternal life, to know you, the only true God, and Jesus Christ whom you have sent,” Jesus says in John 17:3. Again according to the apostle Paul, the Holy Spirit makes us God’s children. The Spirit is the agent of our Sonship, the agency of our relationship with God, the one who cries within us “Abba, Father”, “the Spirit testifies with our spirit that we are God’s children”. And it is the Spirit who inspires prophecy who does these wonderful things in our lives. The apostle Paul himself experienced revelations, dreams, visions and inspired speaking. (Acts 16:9f; 18:9f, 2 Corinthians 12, 1 Corinthians 2, etc). Paul also clearly viewed the activity of the Holy Spirit inspiring prophecy as an essential and on-going aspect of the life of the Early Church. So when he comes to speak about spiritual gifts in 1 Corinthians 12-14 Paul reckons that, next to love, prophecy is the gift to be valued most highly (1 Corinthians 14:1-5, 24-25, 29-32; 12:29-13). What do prophecy and prophesying mean in the Bible? Prophecy does not only mean fore-telling events in the future (e.g. Mark 13). More often prophecy means “forth-telling” a revelation from God. So when the Jesus is blind-folded and mocked, “Prophesy! Who hit you?” (Luke 22:64) the expectation was that any true prophet would receive supernatural knowledge from God about people and events. We see examples of that in Jesus knowing all about the sinful life of the woman who anointed him in Luke 7:39, and in Jesus’s knowledge of all men’s hearts in John 2:24. David Watson gave this definition of Christian prophecy. “While the written word is God’s truth for all people at all times, the prophetic word is a particular word, inspired by God, given to a particular person or group of persons, at a particular moment for a particular purpose.” Prophecy is not just good Bible teaching. “Prophecy would express a new word from God as such, whereas teaching would tend to denote more a new insight into an old word from God,”. “Prophecy receives its content through revelation, teaching from tradition”. According to Paul the function of prophecy will always be to build up the church, “strengthening, encouragement and comfort.” (1 Corinthians 14:3). Paul would like all believers to prophesy but recognises that not all will be used by God in a regular way as prophets. He envisages that some believers will exercise a regular ministry as “prophets” subject to their recognition by the local Christian community, whereas others (not known as “prophets”) will occasionally prophesy. But Paul longs that ALL Christians would prophesy. I believe in the prophethood of all believers. I believe that God the Holy Spirit is often trying to speak to us in all these kinds of ways – but we all have so much to learn about Listening To God. David Watson wrote, “God is the living God … and every day He wants us to enjoy a living relationship with Him, involving a two-way conversation”. But we can so easily forget that our Christian life should be a relationship with God. We can easily sink into duty and routine. In our prayers our conversations with God can so sadly become one-way monologues. Margaret Jarman, in her 1987 Presidential Address to the Baptist Union said, “Have you listened for God’s voice speaking directly to you? Have you considered that He may speak through your intuition, through your imagination, through dreams and visions, through flashes of inspiration?” Most of us need to grow in the many ways of “Listening to God”! We need to explore silence in prayer and meditation much more, to learn to hear God’s messages to us more clearly. An example of that kind of “unrecognised prophecy” might help. 15 years ago I was in a church meeting which was on the point of approving a scheme of major renovations to the buildings costing £40,000 when one member said, “I was praying about this. Our God is a great God. 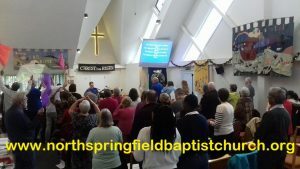 This scheme isn’t big enough.” The mood and direction of the meeting was transformed and six months later the church embarked upon a much more ambitious project for structural alterations costing three times as much, which proved to be a turning point in that church’s life and growth and witness. That prophecy was a very powerful message from God. It is not the way the message is delivered but the element of direct communication from God, which is at the heart of this kind of unrecognised Christian prophecy. Convictions like that about the will or the heart of God, shared with church or friends after prayerful reflection, fit very well into the New Testament pattern of prophecy. Looked at in that way, very many Christians might realise that God HAS actually spoken to them and through them. And as we move forward into exciting new directions as a church, we need to be very open to hearing God’s voice, guiding us and leading us and challenging us and correcting us, whatever the ways He may choose to speak to us. We are taught about Christian prophecy in 1 Corinthians 14:1-5, 24-25, 29-32; and 12:29-13. For Paul, prophecy is (next to love) the spiritual gift to be valued most highly (see 14:1ff). Prophecy is receiving a revelation from God and subsequently communicating it to others. Its function will be to build up the church, edifying, “strengthening, encouragement and comfort.” (14:3). As such prophecy is also in itself a “sign for believers” of the presence and love of God (14:22). Paul would like all believers to prophesy but recognises that not all will be used by God in a regular way as prophets (“ou me” in 12:29 implies “surely all do not,” c.f.14:5). He envisages that some believers will exercise a regular ministry as “prophets” subject to their recognition by the local Christian community, whereas others (not known as “prophets”) will occasionally prophesy. But he longs that ALL Christians would prophesy. Prophecy is reception and SUBSEQUENT communication of a revelation: “Two or three prophets should speak…and if a revelation comes to someone who is sitting down, the first speaker should stop. For you can all prophesy in turn.” (1 Corinthians 14:29-30) This implies that the Christian prophet will always be in complete control of his or her speech, able to stop speaking at will, rather than in a trance or some other ecstatic state. In the Biblical pattern prophetic messages should generally be received in their entirety and then communicated later to other people, in sharp contrast to some practitioners who suggest that they may only receive the first few words and then the Spirit supplies the rest of the message while they are speaking. The reflective refining involved in subsequent rather than immediate communication might well considerably improve the quality and value of much prophecy in certain circles today. Paul teaches specifically about the gift of prophecy, but there are a number of other spiritual gifts also listed in 1 Corinthians 12 and 14 which can be grouped together under the general description of COMMUNICATING GIFTS because they involve God speaking to believers in some way. All of these are aspects of what the Bible broadly means by prophecy. These refer respectively to specific supernatural insight into situations and to divinely revealed solutions to practical problems. I have experienced these in guidance on pastoral visits and in counselling situations. We want to be very clear that the most important way God speaks to Christians today is through the pages of His word, the Bible, especially as it teaches us about His supreme revelation through His Son Jesus Christ. The Bible gives us the standard by which all other “words from God” must be tested and judged. So we study long and hard to understand the teachings of Scripture. And sometimes God also speaks to us through specific Bible verses and passages which come to us as if they were God speaking directly and personally to us. But God does speak to Christians through the Holy Spirit in other ways too. A good definition of prophecy is this. “Prophecy is receiving a revelation from God and subsequently communicating it to others.” We need to consider the two separate stages. How does God speak to us? How can we expect to receive God’s messages? And then, how should we share these messages and how can we test whether they are really God speaking? I have myself experienced three dreams of prophetic significance. Pictures (Jeremiah 18:1-6) often should be much more obvious. God can also speak through situations and circumstances, subjective impressions, riddles, allegories and parables. The Curate sneaking out of a retreat bumped into the Bishop. “The Spirit is leading me to go into the village and do some shopping.” The Bishop replied, “I trust that the Spirit and yourself are aware that today is early closing day.” I have lost count of the number of ladies who have told me that the Lord has told them that they are to marry Cliff Richard. As far as I am aware, none of those “words from the Lord” have yet come true. WEAK (little content) – so many!!!! Effects – in building up the hearers and the church and glorifying Christ. All who prophesy must be judged by their works and lifestyle, “by their fruit,” (Matthew 7:15ff). The spirit of love with (or without) which the message is delivered. 8. “Two or three prophets should speak” (1Corinthians 14:29) Tim Pain argues that this implies a prescriptive minimum, and that “Isolated prophecies are highly questionable.” Do you agree? 9. Does the speaker submit to the church leaders? 10. Is the speaker in control of himself when speaking? Evil spirits take over people, the Holy Spirit very rarely does. (1 Corinthians 14:30-32). Most prophecy is not foretelling but forth-telling, “telling forth” God’s word. For rare predictions the biblical test is in the prophecy: fulfilment, or lack of it (Deuteronomy. 18:22). Throughout history false prophets have succeeded in leading Christians astray. But just because a gift can be counterfeited does not mean that the real thing does not exist. The Biblical criteria for testing prophecy are only abidingly necessary if genuine prophecy also remains a possibility. We need to be Listening To God. Most of us need to grow in the many ways of “Listening to God!” We need to explore silence in prayer and meditation much more, to discover an awareness simply of the presence and love of the Father and to learn to hear more clearly His messages to us. We all need more education about prophecy. We all need more experience of hearing God speak directly to us. But above all, we all need greater expectation. We may expect the Holy Spirit help us to understand the Bible, but some Christians can be deaf to the Spirit if He speaks to us through prophecy or dreams or visions or pictures. Samuel prayed, “Speak, Lord, for your servant is listening.” We can pray that same prayer, confident that God still wants to speak directly today, not just to some but to all of his children. Because each believer has received that Holy Spirit who inspires prophecy and communicates revelations. But we all need to become more open to the word of God coming to us in all sorts of different and unexpected ways. Or when God does speak, we may not hear Him! A final example: One Sunday I was all prepared to preach a sermon on taking risks for the sake of the gospel. On the Saturday night I had an interesting dream. I dreamed that on the wall of our church we had a painting. It was of fields next to a river on a bright sunny day. And on the riverbank a large group of people were having a lovely picnic together as rowing boats went past along the river. Then in my dream next to that painting on the wall I saw another painting. It was further along the same river. Just round a bend where the people having the picnic couldn’t see, there was a Niagara Falls sized waterfall. All the people in all the boats passing by were plunging to their deaths over the waterfall. And all the time the people on the riverbank just went on enjoying their picnic. Nobody was throwing out lifelines to the boats passing by. Nobody was even shouting out warnings to the boats. Nobody had even put up a sign saying, “Danger, waterfall ahead.” They just went on enjoying their picnic.